Pruning geraniums - the perfect plant to prune by hand. Pruning geraniums is fun because you don’t need pruning shears and you just can’t go wrong. You can go crazy with geraniums, braking, pinching and almost tearing stems, without being afraid that you will cause it any harm! 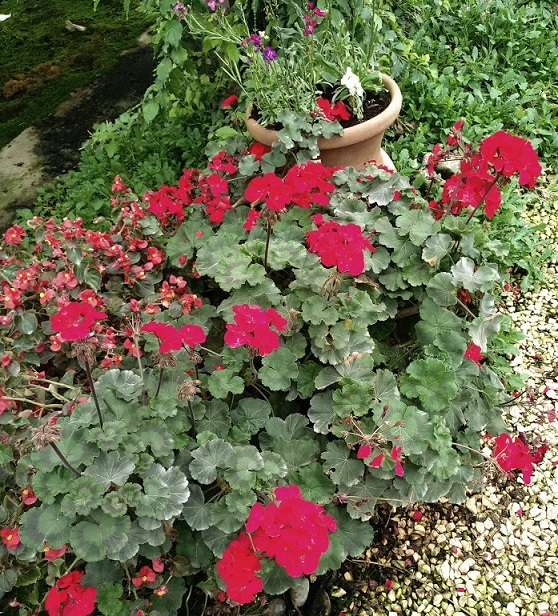 Geraniums are very strong and have an unbelievably fast recovery and response time. Plus, they always look like they are smiling at you, and personally… I find myself smiling back at them J. Before you begin pruning your geraniums - This page relates for two kind of geranium. The two types need exactly the same pruning treatment, as they are the same plant, with only small structural differences. 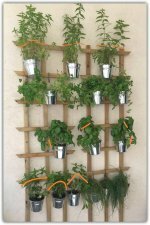 So, I’ll show you two photos of two different plants, but the pruning method and tips remain the same. 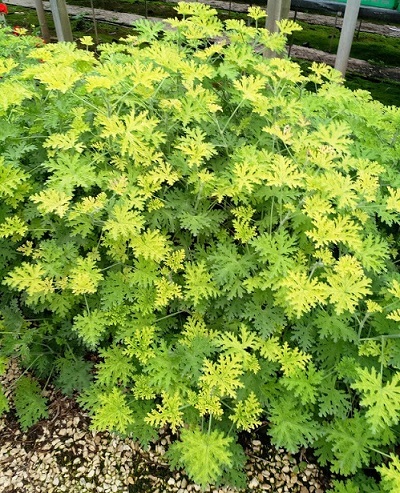 The Geranium looks great in the picture, so you might ask why it needs to be pruned…? The answer is that it looks this good because I pruned it only a few weeks ago. 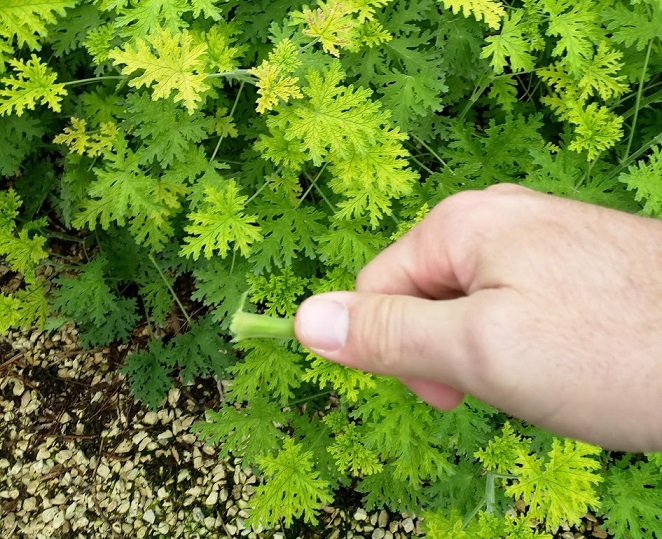 The unique structure of the Geranium’s stem combines softens and stiffens, which allow the plant to grow long and have arms that are almost unbreakable. The long hairy stems allow you to use your hands to remove some of the stems. Simply choose the spot that you want to prune and break the stem with your hands. When? - Beside winter? routine pruning can take place whenever you like. Keep in mind, there is no real reason to prune hard and every season as routine pruning can take place throughout the year. Why? - If it’s such a wonderful plant, with great blossoms, why does it need to be pruned at all? The answer is in the body of the question. As I have already mentioned, the reason a geranium looks great is because it is being pruned. The more you prune, the better it looks. Where? – I usually break, or pinch, the node or just above it, at any point along the stem is fine, as long as it serves your needs. 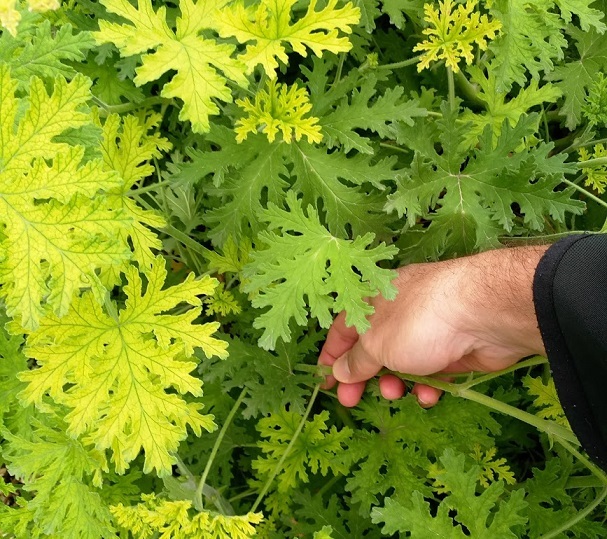 Chances are that you'll only prune the geranium when it gets very big, spreads out over your garden, taking over other plants or crawls across the side walk. Basically, when it’s ruining the general look and feel of your garden. I like my geranium to have a "water-fall” look, but with clear borders. So, I prune it hard, but only every few years. See the picture: after deciding what parts you would like to remove, find the closest spot to any green leaf along the stem and just break! That’s it. Mission accomplished. The stem I'm holding in my hand shows the piece I broke off at the "cutting" point. Don't worry about breaking a few stems in wrong places along the main stem, try it a few more times, until you get the hang of it. Just find the right spot above the leaves on the stem and bend it down until it breaks. My preferred pruning shears for geraniums are… yep, you guessed it… my bare hands. If you feel you "must use pruners", use your gentle but sharpest bypass pruners.